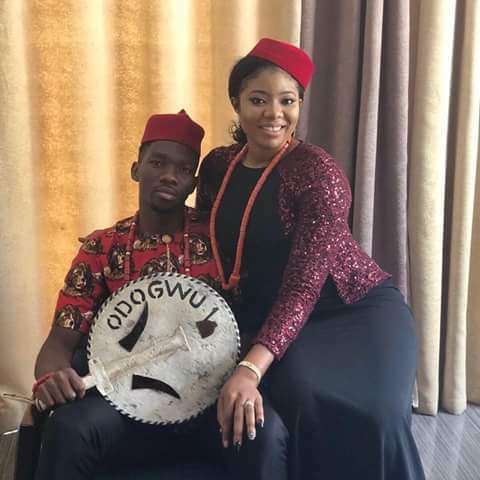 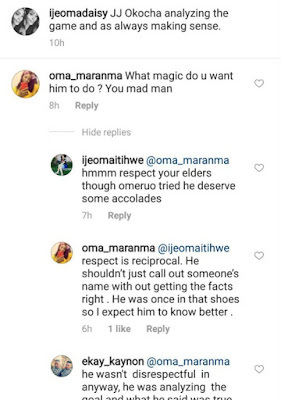 Chioma Omeruo, wife of Super Eagles defender, Kenneth Omeruo, has slammed former Nigerian captain Austin jay Jay Okocha for criticising her husband. Jay Jay Okocha had during his analysis of the game on SuperSports expressed disappointment at Omeruo’s performance in the Super Eagles loss to Argentina. 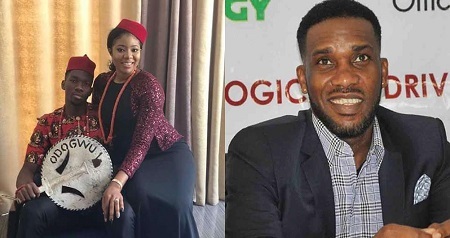 “I am a bit disappointed with Omeruo, he would have seen the run of Messi and maybe take a step or two to be able to cut that ball off.” Okocha had commented on SuperSports live studio. 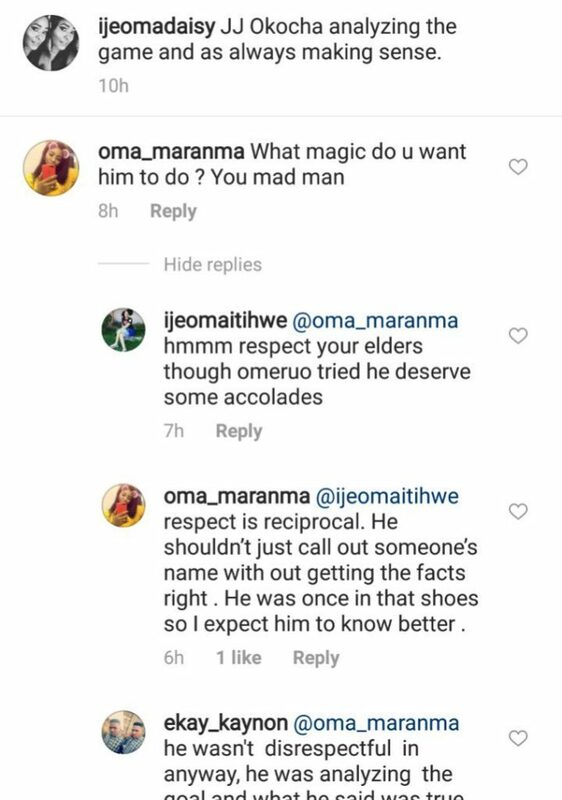 However, Omeruo’s wife didn’t find it funny as she went to Instagram to insult the Nigerian legendary footballer.